Starting a robotics team is an exciting, unique, and rewarding experience. It provides students, mentors, and coaches with an incredible opportunity to develop skills that will be beneficial throughout their lives. Your team will utilize your collective engineering ingenuity, as well as teamwork and problem- solving skills, leadership experience, and creative marketing, to design, build, and showcase your creation. Building is only half the fun. Your team will have the opportunity to interact with other teams, mentors, coaches, and volunteers at competitions, tournaments, expos, and off-season events. 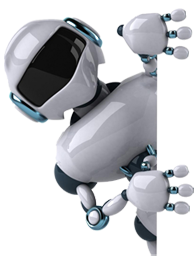 You will be part of the Hawaii robotics community, which is an extensive network of people who are always willing to lend a hand. Friends of Hawaii Robotics supports nine major robotics programs statewide, which provide accessible, innovative educational models that motivate young people to pursue education and career opportunities in science, technology, engineering, and math, while building self-confidence, knowledge, and life skills. What is needed to start a robotics team in your school or community? First, find out if your school currently runs a robotics program. Enthusiastic students who are clamoring for the opportunity! A dedicated teacher willing to “coach” the team. Parental support to make it all work.